National Security Garden is a public art installation by Shannon McMullen and Fabian Winkler based on critical gardening strategies in which soybeans are mobilized to address global national food security in a post surplus world. The project, installed outside Purdue's Elliott Hall of Music, is a hybrid form combining elements of agricultural fields and representational gardens. The artwork creates a local public image of soybean plants with the intention of initiating public discourse about the complex issues represented by this one plant. Through the involvement of students from the Honors College Hunger and Food Security class, the installation contributes to interdisciplinary collaboration and discussion. For Honors students participating in this project, among other things, it presents a unique opportunity to create a new social space on campus that could become a significant location for public discussion and a community gathering place. 1. A raised bed (approx. 16 x 12 ft.) with soybeans planted in geometric rows similar to an agricultural field. 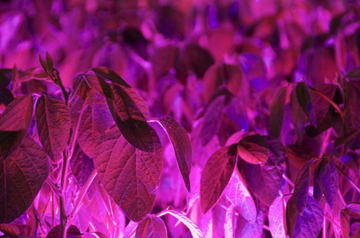 Strips of LED grow lights (red and blue LEDs) that run between the plant rows;. LEDs are on only at night (approx. 5 hours). 2. A solar tower (approx. 8 - 10 ft. high) with a solar panel on top and a battery in the base that provides the electricity for the LEDs at night. The artwork is a temporary installation in public space on Purdue’s West Lafayette campus from the middle of March to mid July 2013. 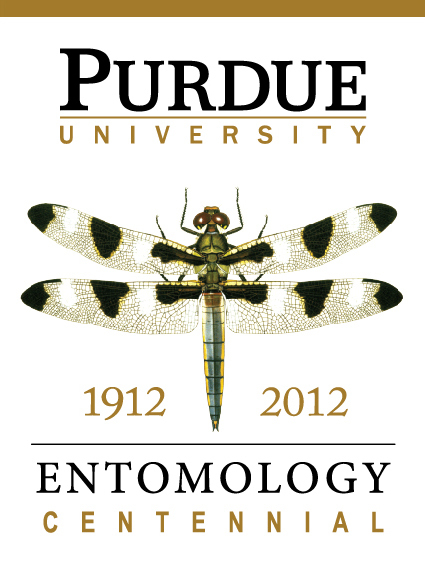 The installation is accompanied by an exhibition in the Robert L. Ringel Gallery in Stewart Center and a symposium which brings together experts from the Purdue community in a variety of disciplines related to the project (art, agriculture, food science, sustainability, policy making, etc. ).